There are 3 clear leaders in production Russia, Saudi Arabia and the USA (with the USA firmly in 3rd place). Those 3 were responsible for approximately a third of the total global oil production in 2009. 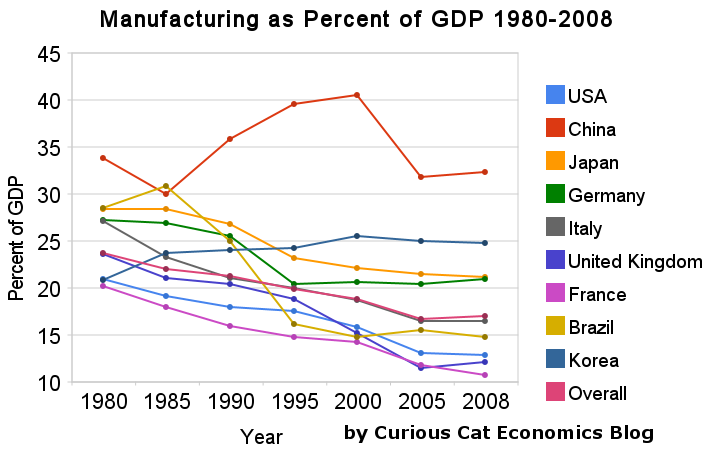 While there has been an increase in manufacturing since 1980, there are some indicators we should not ignore….